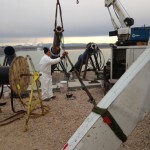 Nickerson Company has been in the business of deep well pump installation and removal since the early 1930’s. 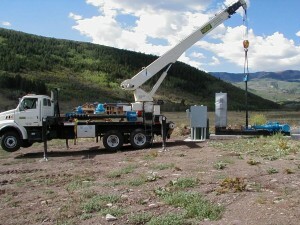 We have pulled and installed literally thousands of deep well pump systems. With settings as deep as 2,400’, and up to 16” column pipe and 1,250 HP, in both submersible and line shaft well pump configurations. Our rig operators are licensed and bonded by the state of Utah and are also OHSA licensed crane operators. In addition, our crews are subject to random 9 panel drug testing, carry MSHA certification, rigging certification, and BROWZ approval. 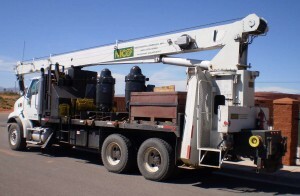 All our rigs carry current OSHA inspection certificates. 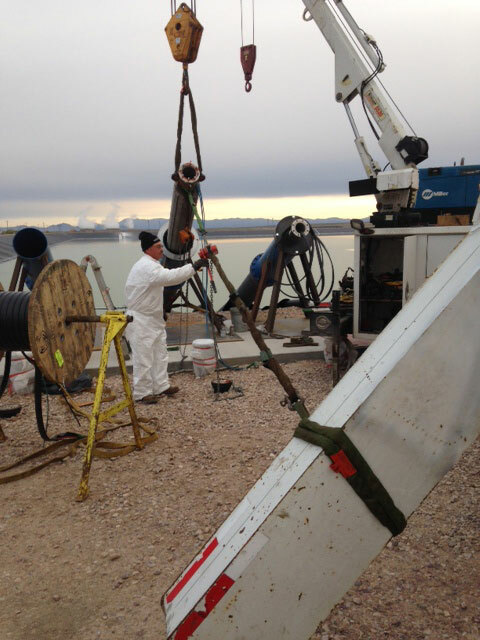 Mast heights of over 70’ allow for pulling pipe in 40’ sections greatly reducing pull and install times. The use of rear mounted boom cranes allows us to reach into pump houses and remove equipment that conventional pump rigs cannot accommodate. And, Nickerson Company has service vehicles and trailers up to 53’ for rig support and transporting equipment to and from job sites. We truly offer the best solutions for well pump service.